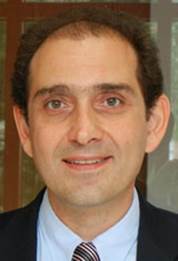 Nikos Sidiropoulos has been appointed Vice President of the IEEE Signal Processing Society (2017-2019). He is responsible for membership services, development, and the overall member experience. Nov. 2016: Check out this three-minute video trailer of our NIPS paper ‘‘Anchor-Free Correlated Topic Modeling: Identifiability and Algorithm’’. 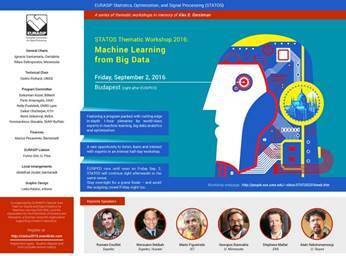 You can also try our Matlab demo. Oct. 2016: Xiao Fu was recognized as the ‘‘Outstanding Postdoctoral Scholar’’ by the Postdoctoral Association and faculty judges of the University of Minnesota. Congratulations Xiao! Kejun Huang defended his Ph.D. in May 2016, and continues as a postdoctoral researcher in our group. Congratulations Kejun! Aritra Konar has been awarded the UMN Doctoral Dissertation Fellowship (DDF) for 2016/2017. The DDF program gives the University's most accomplished Ph.D. candidates an opportunity to devote full-time effort to dissertation research and writing during the fellowship year. Congratulations Aritra! Bo Yang won a Best Student Paper Award (second prize) at the 6th IEEE Workshop on Computational Advances in Sensor Array Processing (CAMSAP 2015) http://inspire.rutgers.edu/camsap2015/ for the paper "Joint Factor Analysis and Latent Clustering", co-authored with Xiao Fu and N.D. Sidiropoulos. The 3 awards were selected from 12 finalists, which were picked from 134 accepted papers based on highest review scores and eligibility (first author is a student). The final selection process included student presentations in a special poster session before the conference and judging by a panel of senior experts. Balasubramanian Gopalakrishnan defended his Ph.D. in May 2015, and joined Qualcomm San Jose, as member of technical staff. Congratulations Bala! o Robust and Scalable Volume Minimization-based Matrix Factorization for Sensing and Clustering”, NSF ECCS-1608961, PI: N.D. Sidiropoulos; Co-PI: X. Fu. (120) P. Alevizos, X. Fu, N.D. Sidiropoulos, Y. Yang, and A. Bletsas, “Limited Feedback Channel Estimation in Massive MIMO with Non-uniform Directional Dictionaries,” IEEE Trans. on Wireless Communications, submitted Mar. 21, 2017. (119) A. Konar and N.D. Sidiropoulos, “First-Order Methods for Fast Feasibility Pursuit of Non-convex QCQPs,” IEEE Trans. on Signal Processing, submitted Feb. 20, 2017. (118) G. Wang, A.S. Zamzam, G.B. Giannakis, and N.D. Sidiropoulos, “Power System State Estimation via Feasible Point Pursuit: Algorithms and Cramer-Rao Bound,” IEEE Trans. on Power Systems, submitted Feb. 9, 2017. (117) X. Fu, K. Huang, N.D. Sidiropoulos, Q. Shi, and M. Hong, “Anchor-Free Correlated Topic Modeling,” IEEE Trans. on Pattern Analysis and Machine Intelligence, submitted Nov. 7, 2016. (116) X. Fu, K. Huang, M. Hong, N.D. Sidiropoulos, and A.M.-C. So, “Scalable and Flexible Multiview MAX-VAR Canonical Correlation Analysis,” IEEE Trans. on Signal Processing, submitted Oct. 26, 2016. (115) F. Almutairi, N.D. Sidiropoulos, and G. Karypis, “Context-Aware Recommendation Based Learning Analytics Using Tensor and Coupled Matrix Factorization,” IEEE Journal on Selected Topics in Signal Processing, submitted to special issue on Signal Processing and Machine Learning for Education and Human Learning at Scale, Oct. 14, 2016. (114) A.S. Zamzam, N.D. Sidiropoulos, and E. Dall’Anese, “Beyond Relaxation and Newton-Raphson: Solving AC OPF for Multi-phase Systems with Renewables,” IEEE Trans. on Smart Grid, to appear. (113) A. Liavas, G. Kostoulas, G. Lourakis, K. Huang, and N.D. Sidiropoulos, “Nesterov-based Alternating Optimization for Nonnegative Tensor Factorization: Algorithm and Parallel Implementations,” IEEE Trans. on Signal Processing, submitted June 23, 2016. (112) N.D. Sidiropoulos, L. De Lathauwer, X. Fu, K. Huang, E.E. Papalexakis, and C. Faloutsos, “Tensor Decomposition for Signal Processing and Machine Learning,” IEEE Trans. on Signal Processing, (overview paper), to appear. (110) C. Qian, X. Fu, N.D. Sidiropoulos, L. Huang, and J. Xie, “Inexact Alternating Optimization for Phase Retrieval In the Presence of Outliers,” IEEE Trans. 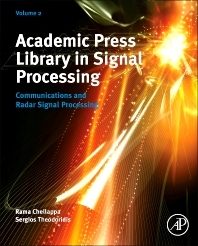 on Signal Processing, submitted Apr. 22, 2016. (108) A. Konar, and N.D. Sidiropoulos, “Fast Approximation Algorithms for a class of Nonconvex QCQP problems Using First-Order Methods,” IEEE Trans. on Signal Processing, to appear. (105) J. Tranter, N.D. Sidiropoulos, X. Fu, and A. Swami, “Fast Unit-modulus Least Squares with Applications in Beamforming and Phase Retrieval,” IEEE Trans. on Signal Processing, to appear. Ioannis Mitliagkas, M.Sc. July 2010 (TUC), “Joint Power and Admission Control for Ad-hoc and Cognitive Underlay Networks: Convex Approximation and Distributed Implementation”. Currently pursuing Ph.D. at UT Austin. Evangelos Papalexakis, M.Sc. July 2011 (TUC), “Co-clustering as multilinear decomposition with sparse latent factors”. Currently pursuing Ph.D. in the CS Department of CMU. Thimios Tsakonas, Diploma Thesis 2008 (TUC), “Tracking a time-varying harmonic using particle filtering”. Thimios earned his Ph.D. at KTH, Sweden (Sep. 2014). Vassilis Ntranos, Diploma Thesis 2009 (TUC), “Multicast beamforming for minimum outage”. Currently pursuing Ph.D. at USC. Dimitri Nion (2007-2008). Dimitri spent a year at TUC, working on adaptive algorithms for PARAFAC decomposition, blind speech separation, and MIMO radar, funded by the French DGA. After TUC, he joined K.U. Leuven, Kortrijk, Belgium. Xiao Fu (2013-). Xiao first came to UMN as a visiting senior Ph.D. student from the Chinese University of Hong Kong, where he worked under the supervision of Prof. Ken Ma. In the fall of 2014, he re-joined as a Post-Doc. Cheng Qian is our long-term visitor from Harbin Institute of technology, China. He joined in the fall of 2014 for a two-year stay. Working on constrained matrix and tensor factorization, and compression of big tensor data. Working on parametric `frugal’ power spectrum sensing. Working on big tensor data analytics.